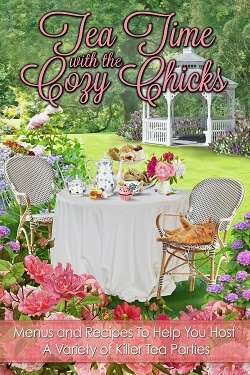 Cozy Chicks: Will you me with some marketing research? Will you me with some marketing research? 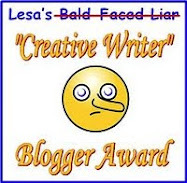 I've been doing some market research and the wonderful folks on my Facebook Group Page (also known as Lorraine's Perpetual Tea Party and the Cozy Chicks Group Page) have been very generous with sharing their opinions, from what magazines they read to checking out my website (which is about to undergo a refresh). 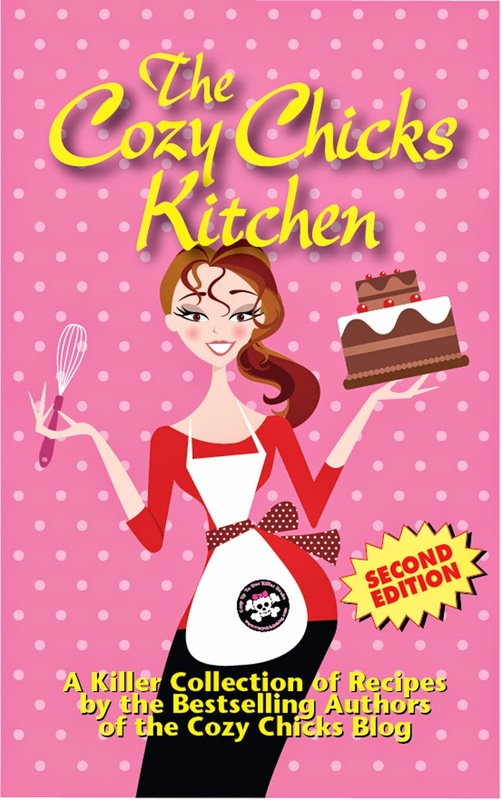 One of my readers suggested that I might try giving away recipe cards and or bookmarks on my website. It took a little bit of effort (and a Youtube tutorial), but I learned how to embed a link so that readers can download a few recipe cards from my Lorraine website. 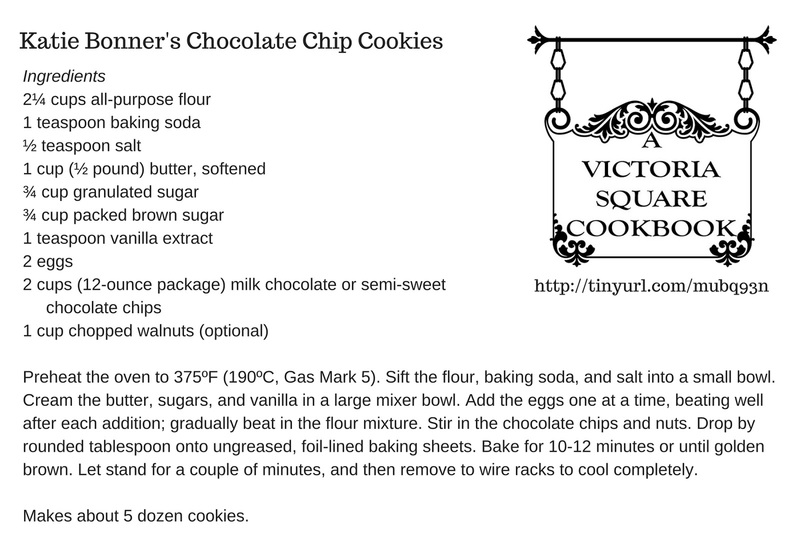 Here it is in a photo so that you can see it what it looks like, but the actual link to the full-size recipe card (4 x 6") on the website is a PDF. PDFs are much more print friendly than a jpg or png. I did it in black and white so that it wouldn't take a lot of printer ink. If you want to see the link on the website, it's on Katie's Recipe page. 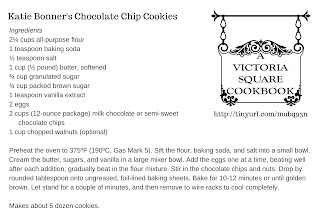 (You need to scroll down under the recipe itself -- the link is next to the blue arrow.) There are currently three recipe cards on the website. So, what do you think? 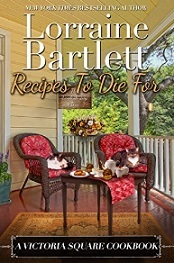 Would a recipe card influence your decision to buy the book? And just in case you need a reminder about the book, here it is. I would really love your input. Thanks!